So maybe I haven't fought the War of the Gods nor have I ever Journeyed to the Stars but I do have the ability to feel compassion and give love without discrimination. After reading up on a superhero that I've always found amusing and beautiful, I learned a lot more about her character... Not just the literal meaning of her being a fictional superhero and her fictional powers but the fact that in every portrayal of Wonder Woman she always was compassionate and gave love without discriminating... What a great power to posses and as humans, I believe we all have this "super" power. Despite our "Superhuman" capabilities lately I've been noticing less compassion and more greed, impatience, and overall just rude people. I'm not saying we all are out for ourselves but I've seen so many people who don't care if they hurt another person. I've had people steal from me. I've seen other people hurt one another just to get ahead. I've heard horrible stories about deceit, theft, murder, etc... It just doesn't make sense to me how some people in our society are this way, how they are capable of being so self concerned. Maybe it's just what I've been focusing my attention on or the area I live in but I would love for more women (and men) to really care about one another, to really want to be and do good for the benefit of man kind like Wonder Woman or many other superheroes do. A family from the way back of the line with a large cart FULL of groceries came flying through the mass amounts of people waiting their turn patiently, cutting off the rightful "next person in line". This family consisted of 4 females ranging in age from probably around 12 to around 50... The mother in the family was yelling at her girls to get out of the way and was forcefully pushing her cart through the people that were too nice to say anything or too stunned to react. I watched this lately push past an elderly man with just a jug of milk in his hands to try to be the first customer in the newly opened line. She made her way to the cashier and started loading her items, no one said anything... I couldn't even believe she could be that selfish, that self-absorbed that she didn't even consider the other people around her... Maybe I'm being judgmental but how can someone be so self-concerned? I didn't even care about my groceries at that point, I just wanted to fight the Grocery Store Villain... Since that could have possibly turned into a horrible situation and I'm not really the type that enjoys confrontation, I decided to bite my tongue and once it was my turn in line I offered for the gentleman with the jug of milk to go ahead of me. He smiled brightly and thanked me a few times. I know this little deed doesn't make me a superhero, nor did it defeat that pesky Grocery Store Villain but it did make me feel a little better and that older gentleman as well. There are so many of us fighting our own battles and living without meaning... I'm not saying I'm not guilty of being selfish, I think we all are... but now more than ever I think we need to think of others and act with a conscious. just because it's the right thing to do. It really is just common courtesy but in our rushed world it feels as though it's a lost cause. Since our children become who we are most of the time, I'm just going to point out that I don't want my future children growing up in a world so unaware and unkind to one another, I may sound like an idealist or a hippie or whatever term you prefer right now, but I'm perfectly fine with that. we all need to become "superheroes". 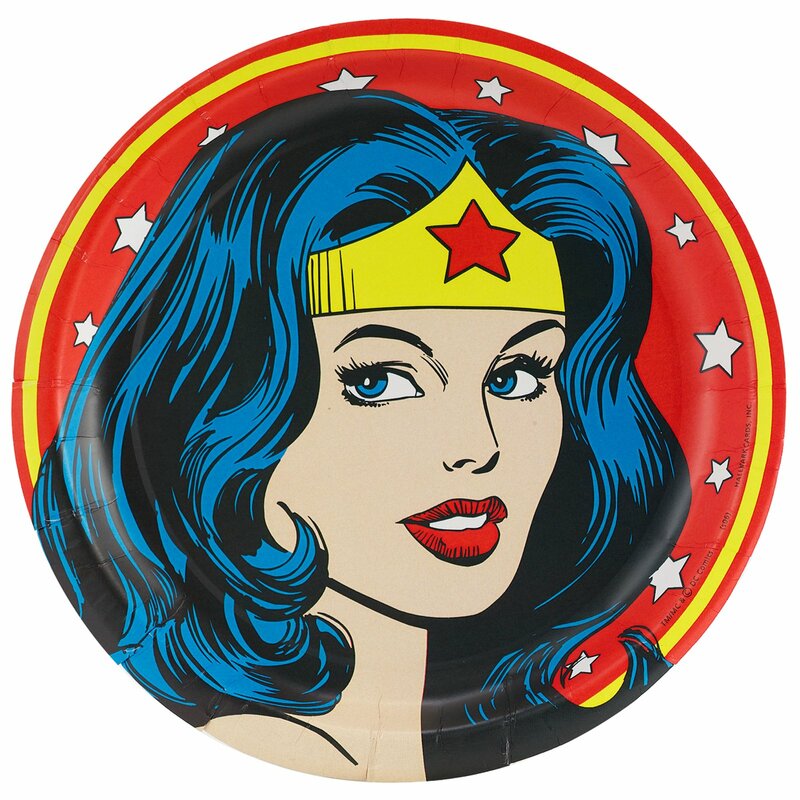 So with all of that said, I challenge you to become your own "Wonder Woman" today. I challenge you to simply do something nice for someone.